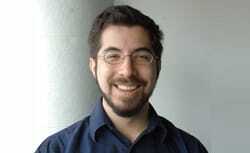 NYSCF – Robertson Neuroscience Investigator Ed Boyden, PhD, is senior author on a new paper in Advanced Materials. He and colleagues adapted a photolithography technique, traditionally used to engineer semiconductors, to architect a model of the brain. Granted the complexity of cell types and connections in brain tissue, the researchers seeded various rat brain cells onto sheets of hydrogel that could be stacked on top of one another, thereby allowing the researchers to control the 3D shape of the tissue via light exposure. This tool may help researchers better understand cell interactions, and, in the future, help design tissue implants for patients.